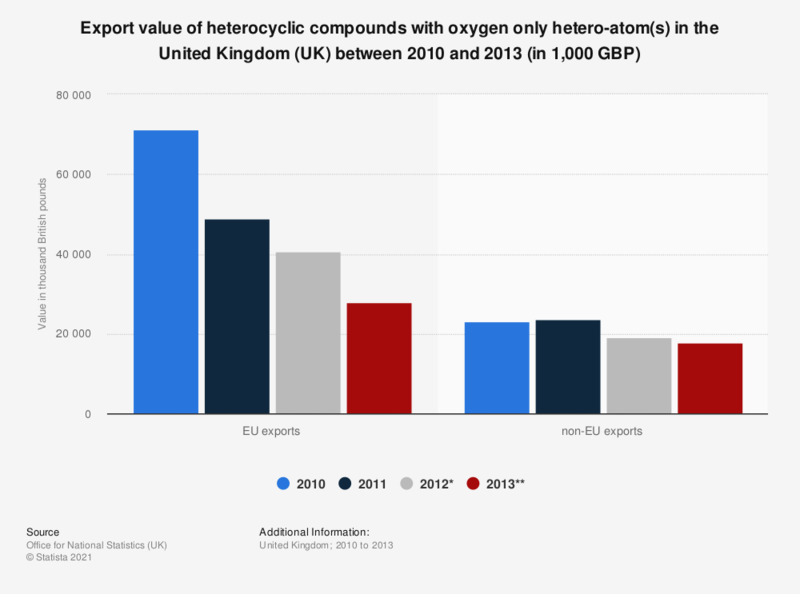 This statistic shows the value from EU and non-EU exports of heterocyclic compounds with oxygen only hetero-atom(s) in the United Kingdom between 2010 and 2013. The EU was clearly an important trade partner for the United Kingdom over this period. EU exports of oxygen only heterocyclic compounds reached a value of 40.6 million British pounds in 2012. Heterocyclic compounds with oxygen only hetero-atom(s) including coumarin, methylcoumarins and ethylcoumarins excluding other lactones.